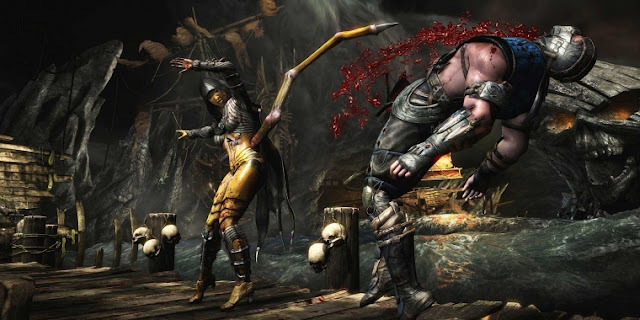 We offer you a list of the keyboard shortcuts for all hidden Fatalities or Brutalities in the bloody fighting game Mortal Kombat X. There are total of 26 finishing moves can be found In the Move list, but you have to run then at least once before they are permanently unlocked. The following Finishing Moves for Mortal Kombat X performs when you stand with your fighters left and your opponent right. In case you are on the other side, so simply swaps the left and right keys. Some moves we have made you the necessary distance to the opponent in parentheses.